Underwater or at the surface! We want to offer you the best of El Nido, Philippines. Join our next El Nido Scuba Diving Expedition on 13th. and 14th November. This is two fantastic days of scuba diving and one amazing camping overnight in one of the most beautiful islands of the Bacuit Bay in El Nido. For a romantic date, a birthday surprise, a family trip or just to have fun with your friends and play Robinson Crusoe. The expedition is very flexible and every body can join. 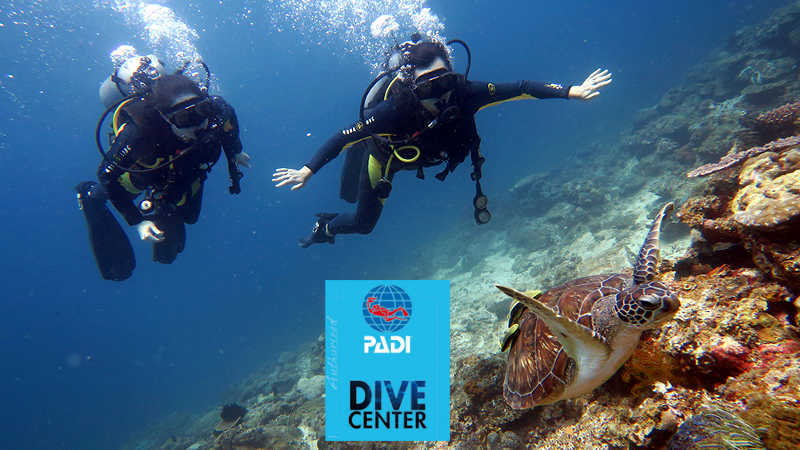 Come as a certified diver, or to start with you PADI Open Water Diver course, or to upgrade your skills with any continuing education PADI course or just as a passenger. * Minimum requirement for Night Dive and Fluorescent Dive is to be certified as PADI Advanced Open Water Diver or equivalent, or to have the PADI Night Dive Adventure. If you don’t have any of these certifications we can teach it! If you would like to join just send us an email for further information. We are waiting for you!